Our worst day in Africa so far! – Crickey…….we're in Africa! 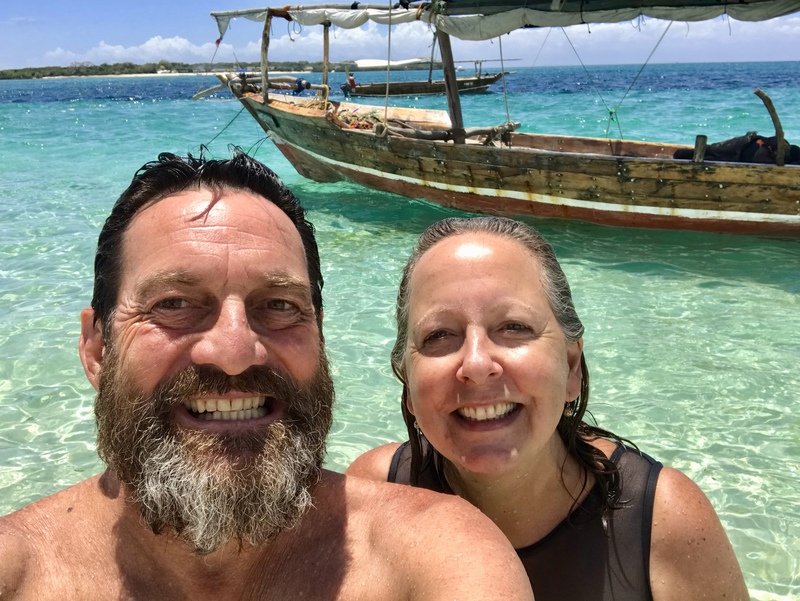 June 24, 2018 June 24, 2018 Marcus and Pauline17 Comments on Our worst day in Africa so far! Our worst day in Africa so far! We set off from Sani Pass at around 9.30am after a very cold night sleeping in the van. We had bought sleeping bags with us for just these situations but ended up being warm enough spooning under the doona!😜 The drive over the next hour or so was through some very steep mountain passes and quite stunning scenery. Very cold up on this pass at around 9.30am. Small villages along the way. They breed them tough around here. It was about 10am and no attempts to restart it had much success and it just died under power again. With a situation like this in Africa everyone and I mean everyone stops to offer advice and they all mean well but does get a bit tiresome explaining to all what our situation is!🤪🤪 We even had a Pakastani turn up who stayed for hours and was a complete pest going to the point of telling me that he likes to drink, smoke and take drugs and did I have any! Anyway I figured that it was possibly contaminated fuel so changed the Toyota fuel filter which was dirty but not too bad and then drained the bowl of the secondary fuel filter to find lots of floating green/black particles suspended in the contents. Not a good thing to see but I set to then and changed that filter as well and then tried to pump/bleed the fuel up again but had no luck. I was to put it politely bloody angry and frustrated by now knowing that the nearest Toyota dealer was 300kms away. Then around the corner came a vehicle with four white South Africans who were down from Johannesburg. They were part of a missionary ministry and were delivering a trailer loaded with 400 kilograms Anthracite which is coal of a hard variety that contains relatively pure carbon and burns with little flame and smoke, along with blankets and gumboots to a Mission just near the Sani Pass. They had gone too far and were staying at a hotel in the town back down the hill. Mike who is a Methodist Lay preacher promised to check up on us later to see if we were ok. The next morning we decided that it was time to get a flat bed truck in to get the Landcruiser to a Toyota dealer but we had no communication with the outside world due to an outage. Our new friends however took all our details and Trish said she would contact Toyota as soon as they got into reception and organise a truck. In the mean time Veronica and Pauline set off on the four hour drive to Maputsoe to do the same while I stayed back to prep the Toyota for trucking. While I was doing this an African gentleman came out of one of the hotel rooms and asked if I was having problems so again I told him the whole story. It turned out that he was a Lesotho politician and he jumped straight on his phone and got the ball rolling and meanwhile Trish had got into reception and done the same so it was all action stations. While waiting for the truck we heard some singing going on so walked around to the back of the hotel to witness a funeral in full swing. In Lesotho a funeral is for anyone and everyone to attend and not just family and friends. The truck turned up at 4.30 that afternoon and Thomas the driver wasted no time loading the Landcruiser, wanting to return that night. Seeing that the Landcruiser was only held on by the winch cable that hauls it up onto the truck I enquired if he was going to chain down the rear and his reply was no “I do this all the time”😳. The road was incredibly windy and steep incline and declines so I was beside myself. It turns out that he was from Maseru and it was a good 7 hour trip for him! We have had to leave the Karavan at the Hotel and I’m sure it will be ok because it is such a beautiful town full of very friendly people. It’s a great excuse to come back to such a nice town too! We stayed on in Mokhotlong one more night and I must say virtually every house has an amazing view from their doorstep. Then we left at 6am the next morning to travel to Maseru in Veronica’s hired 4WD camper. Now it only had two seats so I was put in the back of the camper with a deck chair to sit on for the 300 km trip. The speed bumps hit at speed were something else! Not far from our destination Veronica was pulled up by the police and was asked amongst other things what she had in the back. She blurted out “just my bed “ while I was bent down out of sight and she was allowed to continue! We arrived in Maseru and went straight to the Toyota dealership and there to my great relief was our Landcruiser safe and sound with a guard on the gate. It being Sunday no one else was there so we will return tomorrow morning to see just what the problem is. I’m hoping it is just something as simple as a fuel pump but who knows. We always knew that this adventure was not going to be a walk in the park and both Pauline and I are adamant that this will not spoil our trip. Yes haa! Great to feel part of the trip. The unexpected adventures have started early. Encouraging that humanity is so generous. Thanks James. Such wonderfully friendly people in Lesotho. Keep up your courage and tenacity, don’t worry it’s all up hill from now on, we enjoy reading about the details of your exciting and adventurous trip. This is my third Landcruiser and I have done thousands of kilometres and this is the first time I’ve had a breakdown so that’s not a bad record. Is fuel contamination a breakdown? The drama and mishaps are always the best stories in the end. Hope things improve and you’re back on the road again soon. Thanks Leah, we are still very much upbeat and Lesotho I must say is stunning and the people so friendly. Thanks Mick. Yes look if we wanted a nice safe holiday we could have gone to the Gold Coast but this is way more fun. Your holiday snaps look fabulous, I just love that area of England. As much as it’s a P.I.T.A., it’s a great story. Get the crappy stuff done and dusted early. People really are amazingly generous at times aren’t they? Omg, what a couple of stress, fun, anxious, breath holding, good company, new roadside helpful friends days you have had. I was golding my breath when you were travelling the Sami Pass. Phew, and the photographer did a fabulous rocky job. Well done Marcus to keeping it together and I’m sure the Africans learnt a few Aussie swear words. I hope tomorrow brings good news for your car and you get back on track with miminal loss of time and money. What lovely people you have met and shared fun nights with already. Your email address book is going to be full. Keep up the blog it is great. Don’t worry Pauline about the early morning texts, we should all have out phones one silent if we don’t wasn’t to hear. This post is reminding me of my American cross-country adventures in a vintage VW Camper van! Had our share of breakdowns, tows and visits to backwoods VW wizards! Glad to see you are making lemonade out of lemons, enjoying the company and kindness of former strangers who are now new friends, and keeping your sense of humour! After reading this much of your blog my husband will be pestering me to do a similar trip. Namibia was fantastic and easy to drive around. Can’t wait to read your next entry !! Previous We conquered Sani Pass! Next Our DPF needs a good dose of Laxatives!